Business cards inside of the perforated, ticket shaped wrapper for Aquarius club, one of the major nightclubs in Croatia. They are specialized in organization of various concerts, DJ sets and club nights. 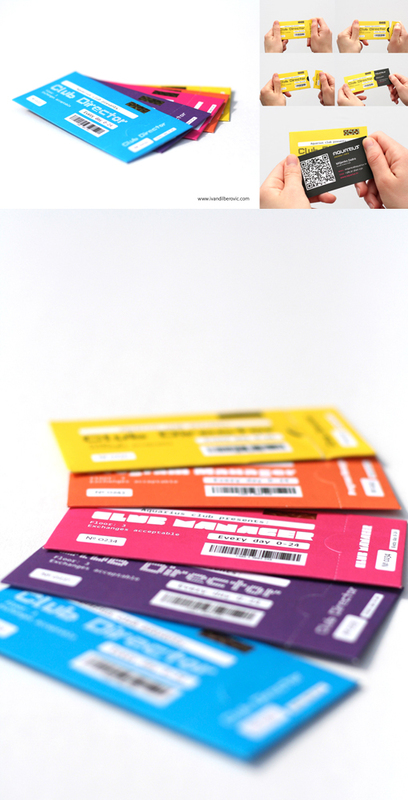 Once the ticket is “used” and open, the business card inside is visible. Each business card has a QR code with meCard information of the person, and when it’s scanned, the contact is put directly into the Address Book of your phone.